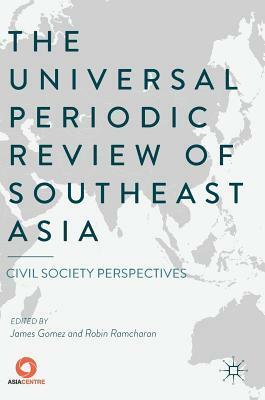 The Universal Periodic Review of Southeast Asia: Civil Society Perspectives provides a stakeholder analysis of human rights protection on the ground. The book reviews Southeast Asia’s civil society engagement with the Universal Periodic Review (UPR) of the United Nations Human Rights Council during the first (2008-2011) and second (2012-2016) cycle. Through evidence-based research the book identifies gaps in human rights reporting and advocacy during the UPR, notably on civil and political issues such as the right to life, freedom of expression, freedom of religion and belief, extrajudicial killings, arbitrary detention, territorial autonomy and separation. The book highlights the need for more civil society engagement on civil and political issues during the third cycle of the UPR in 2017-2020. Failing which, the UPR process risks being reduced to a platform where civil society only engage on issues that States are willing to cooperate on. More pressure needs to be put on States to follow-up and implement recommendations. The book is the first regional appraisal of the UPR in Southeast Asia. It is based on the human rights programme of the Asia Centre.